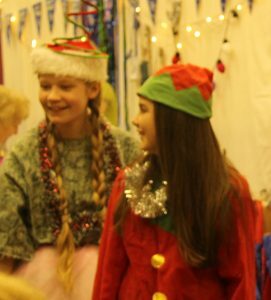 Our Christmas Market is now becoming a popular annual event, held on the first Sunday of December. 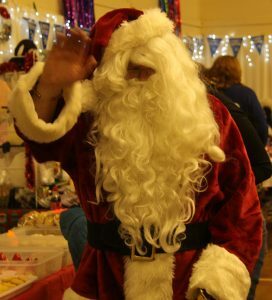 As well as a range of stalls offering local crafts and items with a Christmassy theme, we offer refreshments to sustain you whilst browsing. Food, Jewellery, Christmas cards and decorations, soft furnishings, plants and a selection of other gift ideas are on offer. 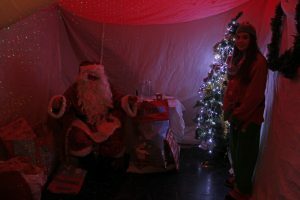 For the wee ones, we have a special visitor – Santa Claus will be welcoming them to his grotto. 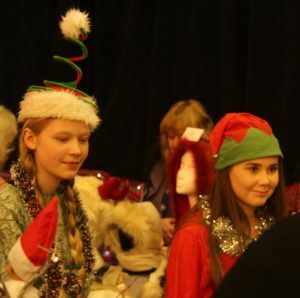 Every child will receive a special gift from Santa, who is helped by a couple of elves hand picked by Santa himself. 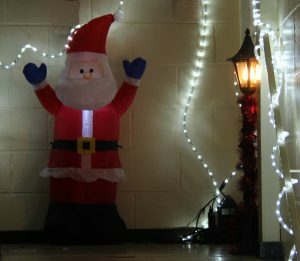 Above are the two elves who helped Santa, and below is the Grotto.